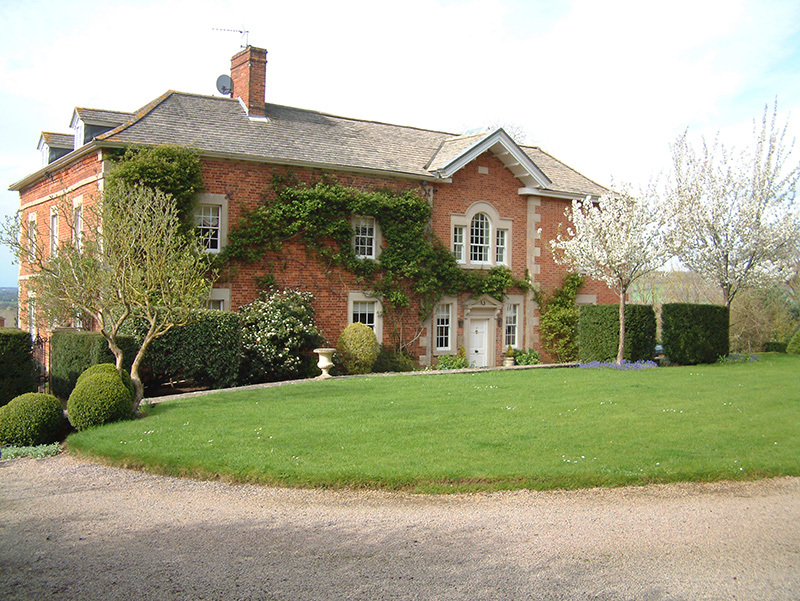 The new building sits within the extensive grounds of a delightful 17th century country house. 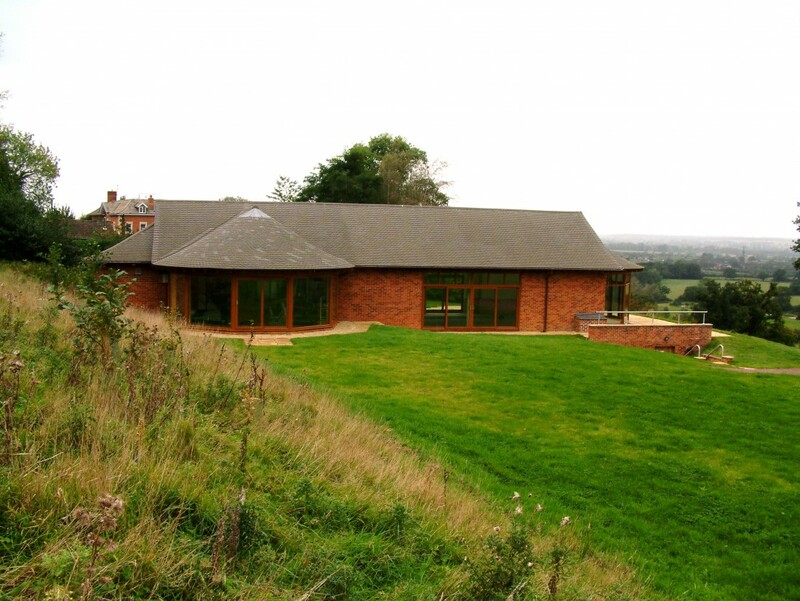 It enjoys extensive views from its elevated position on a gentle sloping hillside. 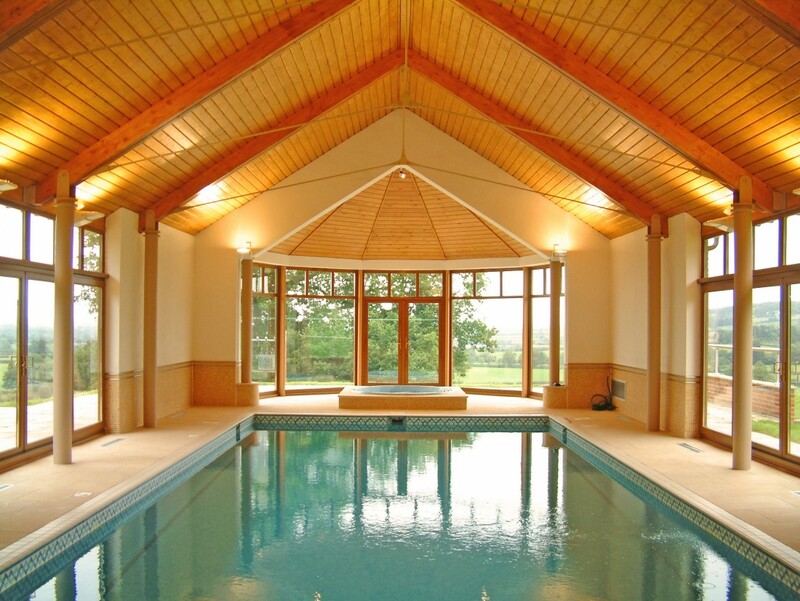 Internally it comprises a 12 metre swimming pool, jacuzzi, gymnasium, sauna suite, changing room and showers. The structure is a steel frame with circular columns in the pool area; the columns support laminated timber beams which in turn support a structural timber pitched roof deck of 75mm thick double tongue and grooved pine boards. The structural deck is exposed internally and externally-finished with plain concrete tiles over insulation. 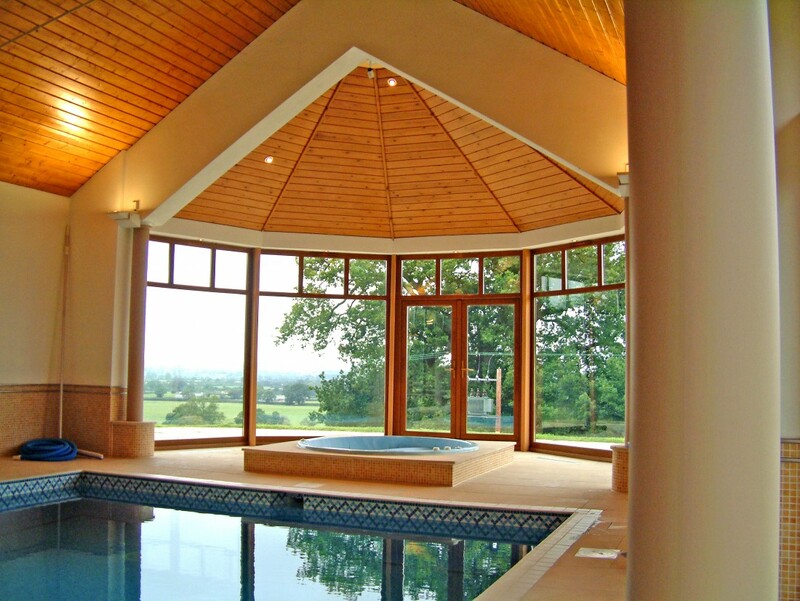 The pool is line with mosaic tiles and the surround is French limestone. The walls are finished in painted render with a mosaic dado. 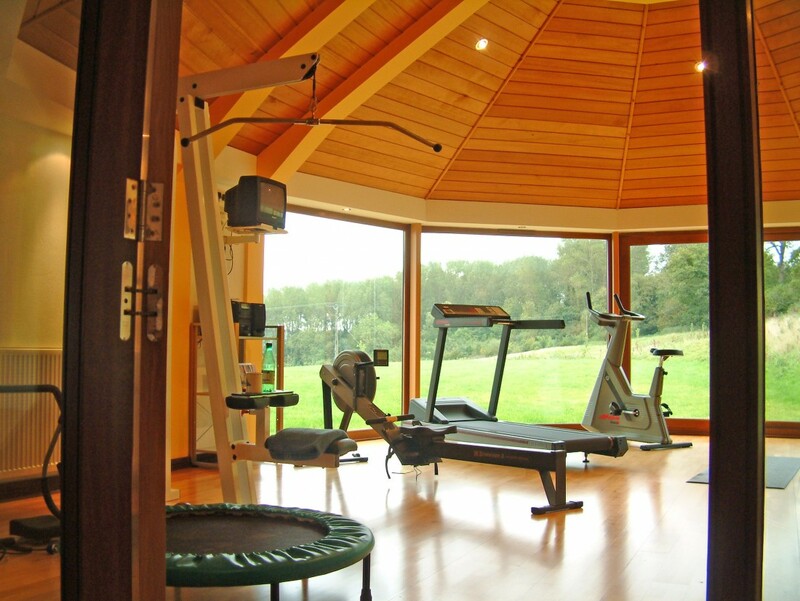 The gym has a sprung beech floor and is separated from the pool hall by a full-height, double-glazed screen. The external walls are of handmade brick with large areas of full height glazing. The plant room is built into the sloping ground at a lower level and is accessed from an external flight of steps.